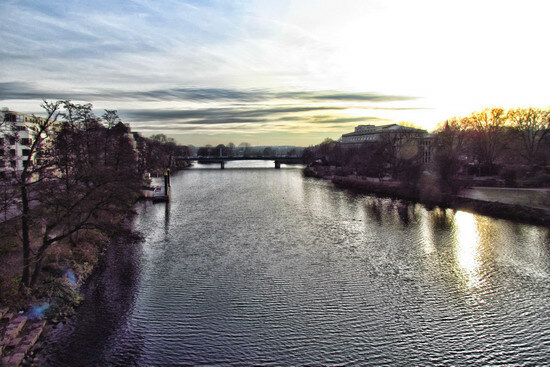 A look over the Ruhr from Mülheim’s old railway bridge south to the Schloßbrücke on a chilly late November day. On the right in the distance you can see the Stadthalle, our concert and theatre hall. During this walk, I went over to the other side, walked along the riverfront and up to the other bridge.